What do we have to do to get truly great wines? I don’t know about you, but personally, I’m not impressed often enough with the red wines people bring to the house when I’m entertaining. Don’t get me wrong. I’m thankful for the gift, and even more thankful that they’ve come so I can enjoy their company. That means a lot to me. But let’s face it, there are a lot of just so-so wines out there, especially reds. Part of the reason is that it costs more for the winery to make a decent wine than many of us are willing to pay. We should up our budget a bit. We should up our wine budget. This is the single most effective way to acquire better wines. Buy less often if you have to, at least your purchase will be enjoyable. That said, I don’t want to necessarily place the burden on my guests to buy more expensive wines. Not cool. But maybe I can drop a few hints on great wine regions, eh? Yeah, I think I’m on to something. Go for Wine Regions that Deliver! 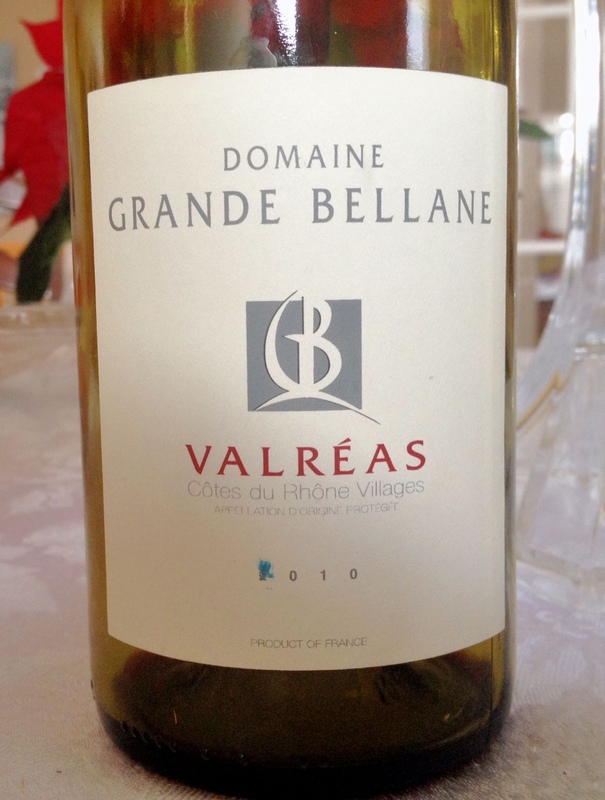 And now here’s an example of a Côtes du Rhône Villages that a dear family member brought over during the holidays. A delightful wine that impressed me immensely. A blend of 30% grenache and 70% syrah, this wine speaks volumes to the palate. My first impression is that it has a gorgeous palate, with complexity and balance. Not too much of any particular flavour nuance, not too intense with tannins. Just right. The deep colour and aromatic bouquet lead to wonderful flavours of dark cherry, plum and subtle spice within an elegant, yet slightly rustic overall presentation. It pairs beautifully with red meat, game, and a wide variety of other foods. Previous Previous post: 2012 Carabella Pinot Noir, Oregon. Best PN I’ve had in years.